The automotive industry is a fast paced environment where having the right parts at the right time is key to meeting sales quotas and production time lines. From manufacturing to the assembly line, IMS can provide options that can take your company to the next level, moving parts and inventory in a way that fits your business needs and keeps your employees available to provide quality customer service. Our automation services can provide a single-point system to run multiple processes on your line. Your employees can then focus on the critical and hands on tasks to provide value-added services to your customers. We provide high quality engineered solutions, including material handling systems, including electrical controls design and programming. 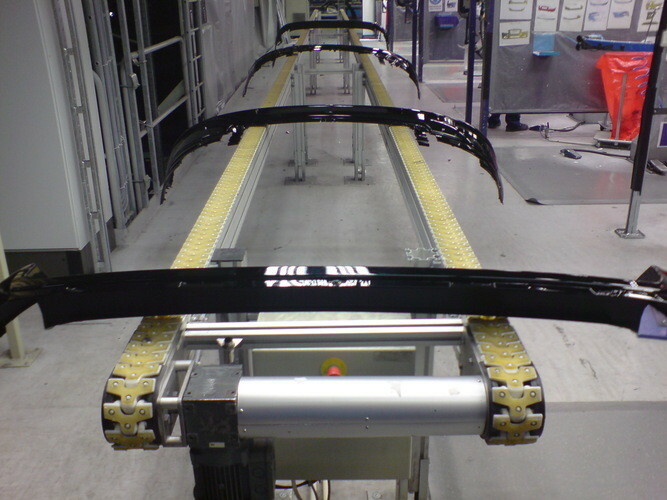 Already have a working conveyor system but want to take it to the next level? 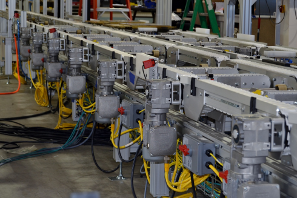 Our automation services can easily be adapted for upgrades to your existing systems. Control systems can be customized to fit the needs of your business. Our control systems can make any process transparent, standardized and continuous, thus contributing to a higher output. No matter what your needs or price point, we can provide options to address your challenges and help your business run even smoother. Let our professionals help you assess your company’s current system for key areas that could be improved by our control systems. Our design team can develop a system to meet your needs. Whether heavy industrial or light to medium duty our solutions team can meet your goals on space, throughput, and investment dollars. Click here to contact one of our professional designers who can assist you in determining how we can provide an upgrade or even a brand new system customized to fit your company’s needs.